Robert Stuart Responds: MQA and More! For those of you that have been reading my posts for at least 9 months, you may remember that I wrote about a very nice lunch meeting that I had with Meridian and MQA head Robert Stuart. You can read the original post by clicking here. At that time, Robert agreed to answer a few questions about MQA. So I wrote down what I thought people wanted to know and sent them off. And I waited. As you can imagine, Robert is an incredibly busy man and I knew it would take some time get his responses. Well, I received them last weekend and am very thankful that he was able to explain the whole MQA situation. 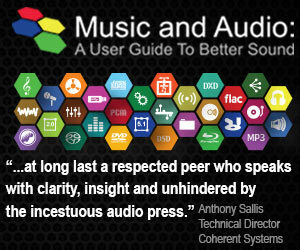 My Q&A session with Robert will be included in my upcoming book (Music and Audio: A User Guide to Better Sound”). There is a chapter called “Meet the Experts” where a number of my friends in the industry have contributed lengthy segments on room acoustics, engineering pop records, etc. I agreed with Robert that I should save his answers for the book. But I’m very happy to share a couple of important take-a-ways. The MQA approach focuses on the front and back end analog signal fidelity. The importance of preserving the fidelity present at the door of the ADC through all of the intervening stages and finally to the output of the DAC is of paramount importance. It’s not about sample rate and word lengths, according to the inventors. Is he saying that all analog audio is high-resolution? I’ve written extensively about what is and what isn’t high-resolution audio. Dr. Sean Olive, head of R&D at Harman International, wrote to me many months ago and praised me for clarifying that “analog tape and vinyl LPs” are examples of audio that are not high-resolution. So which expert do you believe? Certainly everyone is entitled to his or her subjective preferences, but analog recordings are most definitely not high-resolution as compared to high-resolution digital ones. Of that, there should be no argument. Without bringing up sample rates and word lengths and their related performance specs, the reels and reels of analog tape that hold the vast majority of classic albums cannot match the potential fidelity of a new high-resolution recording. So IT IS the case that analog is not high-resolution. Of course. Is there something wrong with incremental evolution in the pursuit of perfection? Isn’t that how most products and technologies improve? Recording and playing back recorded music have progressed to near perfection. High-resolution digital audio and recorded music already achieve levels of fidelity to the source that actually exceed the needs of the artists, engineers, and producers (who create the albums that we consume). Whenever someone says that such and such a technology or piece of equipment delivers what the artist and producer wanted, I want to choke. They artists, producers, and labels want to deliver recordings that people want to buy. Of lesser importance is the fidelity of the tracks. They don’t get to dictate they way they want things to sound. “Houston, we have a problem”. But it’s not the problem most writers, software programmers, and equipment designers think we have. We don’t really need to raise sample rates and lengthen digital words. We don’t need to eradicate “pre-ringing” (which in a 96 kHz recording exists at just below 48 kHz!!) because you’ll never hear it. The problem we have is the lack of truly great sounding recordings. The production chain is broken. How can ever expect to deliver better fidelity with software tweaks, expensive cables, and exotic hardware when the content were playing doesn’t measure up? I think where the confusion comes in, in regards to “high resolution” analog is that some people think that because tape or vinyl is analogous to the original recording, it is inherently “hi res”. Disregarding of course things like dynamic range. Because digital recording is a numerical reconstruction of the wavelength, they think it is not as true to the original. I’ve heard this from a number of artists and recording engineers. I think vinyl and tape sound great, but it’s a jump to say they are equivalent in fidelity to a modern recording. In all fairness, I took Robert’s line about analog audio out of context. He clarified his meaning and I agree with his update. I’ll be posting that today. But you’re right, analog tape and vinyl LPs are not high-resolution music formats. 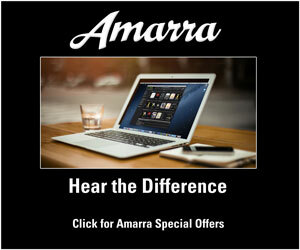 They may sound great and are certainly cherished…but they fail the specifications test. Is this new technology going to require both hardware and software by the end user?. Do you know how many new recordings have been issued that can be accessed by the public? If this is a great technology I hope they don’t screw it up with bad advertising and over the top descriptions. Keep up the good work. MQA requires a file (PCM) to be processed and an MQA enabled device to decode the file…if you want the full experience. Otherwise, any standard player will work without the high-resolution components (if there are any). “Ding, ding, ding!” We have a winner! Yes, we need to have better quality recordings produced and released. It is becoming harder and harder to find music of better than decent fidelity out there and with the technology currently available, there is no reason that should be the case. Thanks Carlo. I love to win! The music industry needs to realize that better sound recordings will advance the cause of fidelity a lot more than the whole Hi-Res Music hype. Thanks Stephen. JA is incorrect in his elevation of vinyl LPs. He states a “well-recorded” LP, but I don’t know what that means? Would that mean it was mastered directly to the lacquer with the intervening analog tape (which reduces down the fidelity well below a CD). The vinyl LP advocates would have you believe their precious format still rules the day for fidelity etc. He doesn’t come close in terms of sound and specifications. But it does sound familiar and warm and “uncongested”. Whenever a needle digs into something there is abrasion, distortion, a wearing away of the initial laying down of acoustic sound waves. What is wrong with these overpaid Physics geniuses? They all sound like Snake Oil peddlers. The vinyl LP “mafia” (like the analog tape mob) have deep attachments to their cherished systems. They simply won’t or can’t let go or even acknowledge the compromises that exist in these formats. Oh well. I ALWAYS believed that digital was the Holy Grail of audio because of the improved Signal to Noise ratio. It reached deep into the depths of the quietest sound and allowed me to hear it with no noise or distortion… and it allowed me to hear the cannons of the 1812 overture on that Telarc CD with it’s warning about turning down my volume so as not to damage my amp or speakers. With NO COMPRESSION! Play me one analog tape or record that has that passage on it with the same acoustics! You can’t because it cannot approach them.It cannot be done, PERIOD! You’re right. 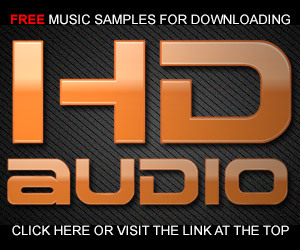 It doesn’t get any better than PCM digital audio. Even at CD rates, things can sound incredible. Move to 96 kHz/24-bits and you have no compromises…none. A lie to support the claim that MQA will be the second coming for digital sound quality, told in search of advertiser $ dollars. If MQA is accepted as such the amount of new hardware-software to support it will be huge. High End VooDoo publications sold their souls back in the early 1980s. MQA is interesting. I’m looking forward to hearing my own recordings prepared through the process. I’m still on the fence whether the stellar sound of my tracks can be improved. I’m withholding judgement until I get a chance to audition them myself. 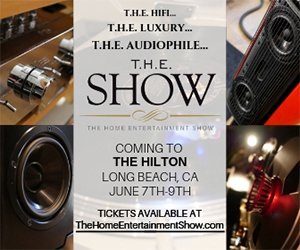 Robert Harley is looking for the next big thing to talk about…that’s part of publishing an audiophile magazine. But I’ve found his descriptions and hyperbole to be purely subjective. The whole special issue cable thing made my head spin. Being generous to RS, he might have been thinking of analog audio in general, not just recording and playback. The real danger in his response, to those of us with an interest in high performance, is that he is differentiating MQA by positioning it as having a ‘more analog sound’. If he is actually going to do something to degrade MQA so it has analog recording/playback performance parameters and standards, that would move audio backwards. He was speaking specifically about analog audio as in live sound. In the context of my question about high-resolution audio vs. standard-res CDs and analog tape, I figured his response would assume the recorded formats. It didn’t. He responded to me and I’ll be sharing that in today’s post. In ever outward circles, the entire approach is flawed. Speed and storage size of digital technology are getting so cheap and available even to consumers that compressing audio files is pointless. It’s yesterday’s problem. You can hit your head against a brick wall for a thousand years but Nyquist and Fourier were right. They are also bedrock math and science that real professionals in the scientific community take as fact and only laugh at those who try to prove they’re wrong with simplistic experiments and demonstrations. 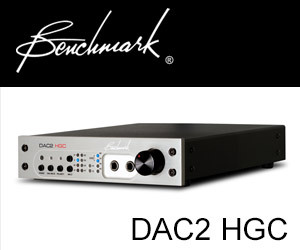 Relatively inexpensive amplifiers and many cheap D/A converters are good enough. Trying to improve them further is a complete waste of time and money. Modern speaker design is laughable. They can’t sound like real music because they don’t do what real musical instruments do, they launch their sound in entirely different ways. For example, they beam their treble sounds increasingly with frequency. Is there something wrong with incrementalism? Fundamentally yes if the answer you are looking for lies outside the concept you are trying to perfect. If you want to break the sound barrier and you have a horse drawn carriage going from fast ten horses to 100 horses won’t work. Nor would going to 1000 or even 10,000. You ‘re wasting time and money because the carriage won’t go any faster than the slowest horse. As the effort increases impractical gives way to ludicrous and enthusiasm gives way to obsessive madness. What are you trying to achieve. Define your problem. You want something pleasing and entertaining, you’ve got it. You want something that sounds real? That’s two different problems depending on how you look at it. “They are here” is the problem of bringing musicians (and with contemporary “performances” I use the term musicians in its loosest definition) is the problem of musicians performing in your room. That’s a hard problem using current approaches. Even under the most controlled conditions carefully executed virtually all live versus recorded demos set up and conducted in this industry fail to convince even non critical listeners. JA’s failure in Maryland with just a single piano failed and is only one example. “You are there” meaning you hear what you’d hear at a live performance in a large public venue is a problem that is orders of magnitude more difficult and far beyond the current state of the art. There is nothing wrong with RBCD technology especially when compared with analog recordings. The proof is that you can burn a copy of an analog recording on to a CD even with uncalibrated consumer equipment and consistently get results that are indistinguishable or nearly indistinguishable from the analog original. You want real improvement, go back to square one and rethink the entire problem from the beginning with no preconceptions and the skils to analyze complex problems. When is that justified? IMO when music rises to a fine art and not mediocre mass market trash worthy of no more than boom boxes. I’m sorry my friend that you are so pessimistic about the art of reproduced sound. As an audio file I can appreciate the advancements in the field; it’s exciting to be part of that over the years. I find that even people with small hearing limitations came enjoy the advancements of reproduced sound, I don’t understand the negativity of your comments. Maybe you’re satisfied with (Limited fidelity) the majority of us are not, in brace the advancements, enjoy. Regardless of the argument between analog and digital in my own experience there’s days where I crave vinyl LPs; it has a very unique warm and comforting sound. I love the new Hi-Rez digital sound, it all depends on the mood at the moment. I’m looking forward to the new MQA format just at our doorstep. The most amazing thing about the human ear is that these new advancements are recognize, and transmitted to the brain with new sensations,it’s a beautiful thing. Justin in brace and enjoy. Or maybe you have never had the opportunity to experience a truly high-end system? If you do, I’m convinced your out of look will change. Have a great day. Walt. This sentence very much sums up, what we can say of todays music production. The high-end is struggling to stay alive and trying to replace previous sells at higher prices. It is not unusual for an industry or company to create a problem that doesn’t exist and then announce they have a solution to the problem. To keep the doors open, many audio companies operate under the banner ‘The Emperor’s New Clothes”. An observation – sometimes a lowly cassette Lp or cd have electrifying power. As we lock down the mystery of the science the truth of discourse is to be maintained. Music can succeed in moving one’s soul and intellect without amazing fidelity…but when you have a great composition AND a great recording, you have something really special. Digital in my system and room is the total opposite of flat, congested, hard and glassy. I read these writers and wonder what digital they are listening too. Funny thing is, the last two audio shows I visited, the best sounding rooms were playing digital. Oh come on, Mark. There are dozens of classical labels putting out routinely great-sounding recordings on SACD and Blu-Ray. We might quibble as to whether these performances are better than older ones, but there’s no questioning the amazing sound quality of modern digital recordings. If you’re talking about pop music, I listen to plenty of it and those who love pop music have zero interest in sound quality. Only classical listeners care. There are some great recordings being made. And, yes they are mostly from classical and jazz labels. But they represent a small fraction of the releases and an even smaller percentage of pop and rock. I love classical music but I want my rock to sound great too. Thanks for this article. It corroborates my feelings. As far as I am concerned there is no doubt that the quality of the recording is much more important than the number of bits and the sampling rates. I have 16/44.1 that sounds better than a lot of my 96/192 recordings. I have some 24/96 recordings that I find to be downright unlistenable. What’s more a friend of mine gave me his his hard drive when he had to give up his stereo and it contains only DSD files. And to be truthful I find the quality of a lot of this music not good at all. The music is good but the SQ isn’t. So I have come to the conclusion that no matter how hi-rez a file is, if it was not a quality recording then the sound coming out of my speakers will not be quality sound. It will always come down to the quality of the original production. The reality is that most records don’t sound that great.